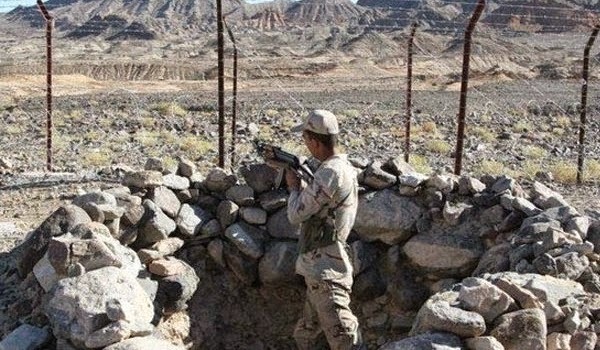 UPDATE: Iranian news agencies are reporting that 8 Iranian NAJA border guards were killed today in an attack by the militants in Baluchistan near the border with Pakistan. No further details were available. UPDATE: Iranian Baluch militant group Jaish Ul-Adl has taken responsibility for the attack on Iranian border post that killed eight NAJA guards. Iranian Southeast seems to be the only area of hot contact with terrorists in that country .Armed drones could fulfill that security void quite nicely now that land mines have fallen out of favor with various UN protocols . Tehran: Eight Iranian border guards have been killed in a clash with Sunni rebels who had infiltrated from neighboring Pakistan, Iran's official IRNA news agency reported on Tuesday.